New cases of highly pathogenic avian flu in poultry have recently been detected in south-western regions of France, forcing authorities to step up sanitary measures. The total number of confirmed cases of contamination with the virus in France has risen to 61, according to a statement from the French Ministry of Agriculture. The statement was published on Tuesday. Special protection zones stretching for between 3 to 10 kilometers around the farms have been set up until the epidemic ceases, a decree published in the Official Journal said. There is currently no evidence that the virus is transmitted to humans through birds’ eggs, meat or foie gras, the World Health Organization (WHO) and the European Centre for Disease and Control (ECDC) stated. Biological Hazard in New Zealand on December 11 2015 01:43 PM (UTC). © Getty Images Measles is untreatable but easily preventable through vaccinations A measles warning has been issued in several areas after an infected tourist traveled the country. A 28-year-old European man carrying the virus traveled from Wellington, to Motueka, Kaikoura and Christchurch from December 3 to 11.The Canterbury District Health Board now is asking anyone who may have come in contact with him and is now presenting symptoms to call their doctor. He is believed to have contracted the highly-infectious virus while in Australia and is in private accommodation in Christchurch until the end of his infectious period. Biological Hazard in Taiwan on December 11 2015 04:45 AM (UTC). Pingtung County’s animal disease control officials on Thu 10 Dec 2015 culled 8881 ducks after the highly pathogenic bird flu virus H5N8 was found to have infected ducks on a poultry farm in Changzhi Township, officials said. County officials said the farm operator kept the birds in a closed environment in violation of the law and they decided to issue a fine on the owner in accordance with the act governing the prevention of animal infectious diseases. To reduce the risk of spreading virus, local health authorities have worked with the farm owner in disinfecting the area and launched monitoring and sampling of poultry within a 1 km about 0.6 mile radius from the infected farm, said the officials. TAIWAN – Taiwan has reported six more outbreaks of highly pathogenic avian influenza. There were four outbreaks of the H5N2 serotype in Pingtung and Hualien counties (see image above). Just over 14,000 birds were destroyed to try and prevent these outbreaks from spreading. The premises affected included a duck farm, a chicken farm, and chickens in two abattoirs. The cases were discovered after abnormal mortality levels. At least 33 people have lost their lives following an outbreak of swine flu mainly in two southeastern Iranian provinces in the past three weeks, Iran’s deputy health minister says. Ali Akbar Sayyari said on Monday that the flu left 28 people dead in Kerman Province and five, including four pregnant women, in Sistan and Baluchestan. He added that there are more cases of infection across the country. Tehran (AFP) – An outbreak of swine flu in Iran has claimed 42 lives since mid-November, including in a province neighbouring Tehran, Health Minister Hassan Hashemi said Thursday. Hashemi, quoted by ISNA news agency, said 33 deaths from the H1N1 virus were recorded in Kerman and five in Sistan-Baluchistan, both provinces in southeastern Iran. The other four deaths were in three northern provinces, including one in Karaj, near the capital, he said in an update recording nine new fatalities since Monday. Hashemi has said the number of deaths from flu was similar to previous years, but that it was becoming harder to treat. “This flu comes from beyond our borders, especially from Sistan-Baluchistan” near Pakistan, the minister said Monday. “But every year it becomes wilder and more resistant” to treatment. As many as 200 people have gotten sick in a norovirus outbreak at a downtown Seattle office building, health officials reported Monday. Norovirus is highly contagious and causes nausea, vomiting and diarrhea. SEATTLE (AP) — As many as 200 people have gotten sick in a norovirus outbreak at a downtown Seattle office building, health officials reported Monday. Illness at the Russell Investments Center grew exponentially after a catered event in the building, but several cases were reported before the event last Tuesday, according to Public Health-Seattle & King County, which is still investigating the outbreak that began last week. Between 175 and 200 cases have been reported to the health department either independently or through a survey of people who went to the catered event in the building. “We anticipate that number is probably low,” said Dr. Meagan Kay, medical epidemiologist for communicable diseases with the Seattle and King County Public Health Department. Two people spent one night in a hospital because of norovirus, and another eight people were treated in emergency rooms during the past week. The collapse of medical services in terrorist-controlled parts of Syria has caused the spread of a flesh-eating virus transmitted by parasites munching on corpses dumped in the streets. “As a result of abominable acts by ISIS that included the killing of innocent people and dumping their corpses in streets, this is the leading factor behind the rapid spread of Leishmanisis disease,” Dilqash Isa, the head of the Kurdish Red Crescent told the Kurdish Rudaw news. Kurdish fighters in Syria claimed the disease, spread by sand flies, was not noticed until Islamic State (IS, formerly ISIS/ISIL) influence and atrocities spread across Syria. Leishmaniasis, which is rarely deadly but leads to disfiguring lesions on the skin, was particularly bad in war-torn parts of Syria, one unnamed militant told the publication. “We have been fighting on the battlefield for almost four years and this disease basically generated from embattled areas of Tal Hamis, Hon and Qosa,” he claimed. “It is very possible in the area where there is a lot of military activity and population movement, those are circumstances in which an outbreak of the leishmaniasis can occur,” Dr. William Schaffner (MD) told RT. An outbreak of swine flu has left 33 people dead in two provinces of southwestern Iran in the last three weeks, the official IRNA news agency reported on Monday. IRNA quoted Deputy Health Minister Ali Akbar Sayyari as saying there had been 28 deaths in Kerman province and five in Sistan-Baluchistan and warning the H1N1 virus was likely to spread to other areas including the capital Tehran. Biological Hazard in Iraq on December 07 2015 06:03 PM (UTC). An outbreak of swine flu has left 33 people dead in two provinces of southwestern Iran in the last three weeks, the official IRNA news agency reported on Monday. IRNA quoted Deputy Health Minister Ali Akbar Sayyari as saying there had been 28 deaths in Kerman province and five in Sistan-Baluchistan and warning the H1N1 virus was likely to spread to other areas including the capital Tehran. 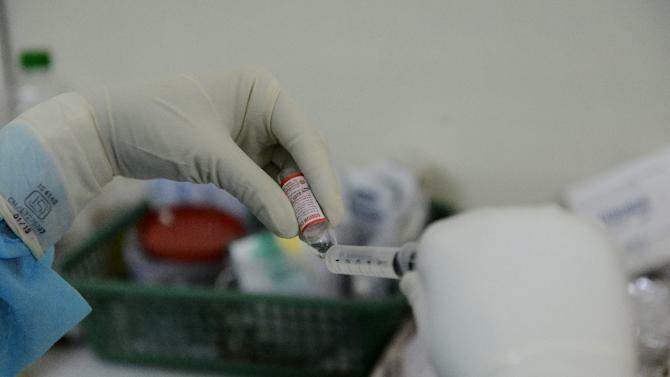 “The health ministry predicts that the virus will spread in the coming days to Tehran, West and East Azerbaijan and Kermanshah provinces more than to other places,” he said. Nearly 600 people have been hospitalised in Kerman province over the outbreak, the head of the province’s medical university, Ali Akbar Haghdoost, told the ISNA news agency. “Traces of the H1N1 virus were uncovered three weeks ago and we were the first province to report the epidemic,” Haghdoost said. He called for limited travel during a three-day holiday weekend due to start on Thursday in order to prevent the spread of the virus. A major H1N1 outbreak in 2009 sparked a World Health Organization pandemic alert in June 2009, after the virus emerged from Mexico and the United States. The alert was lifted in August 2010 and the outbreak left some 18,500 people dead in 214 countries. Biological Hazard in Sudan on December 07 2015 08:57 AM (UTC). Between 29 Aug-27 Nov , 469 suspected cases of viral haemorrhagic fever (VHF), including 120 deaths, were reported in the 5 Darfur states, according to the Sudanese Ministry of Health. The UN Office for the Coordination of Humanitarian Affairs (OCHA) in Sudan reported in its latest weekly bulletin that the outbreak has now spread to 27 localities in Sudan’s conflict-torn western region. The highest number of reported cases is in West Darfur (296) followed by North Darfur (68) Central Darfur (68), South Darfur (23), and East Darfur (14). The highest number of fatalities was recorded in West Darfur (90), followed by North Darfur (15), Central Darfur (12), East Darfur (2) and South Darfur (one). The World Health Organisation (WHO) has supported vector control activities with larvicide interventions, reaching 6268 families (40 800 people) in Ed Daein, capital of East Darfur, in the South Darfur localities of Tullus, Kass, Ed El Fursan, Buram, and El Sereif Beni Hussein in North Darfur. A further 30 000 families (195 000 people) in South Darfur’s Tullus town and the Kass camps for the displaced were reached with integrated vector control activities conducted jointly by the Ministry of Health and the WHO. These activities are now ongoing in Buram, Ed Fursan and Nyala localities in the state. In addition, the WHO supported larvicide fogging and spraying assistance to more than 1300 families (8500 people) in El Sereif town, North Darfur. In North Darfur, Doctors Without Borders/Medecins Sans Frontieres (MSF) Spain and the WHO support a treatment centre in El Sereif locality. MSF Switzerland is supports a treatment centre and 2 mobile clinics in the West Darfur Krendig and Kereinik camps for the displaced in Kereinik locality. The UN Children’s Agency (Unicef) supported the Ministry of Health in West Darfur to reach 385 700 people on viral haemorrhagic fever prevention through local radio programmes. It supported national NGOs to conduct health education sessions in El Geneina and Kereinik localities. Unicef has also supported health promotion activities in Zalingei, Azum, Bindisi, West Jebel Marra and Wadi Salih localities of Central Darfur. Haemorrhagic fevers are endemic in many states of Sudan including Red Sea, Kassala, Gedaref, and South Kordofan, OCHA states. In 2012, sporadic cases of dengue fever and yellow fever co-infection were reported in Darfur, while no cases were reported in 2013. In 2014, however, a large-scale dengue fever outbreak occurred in Red Sea (1092 cases), North Darfur (132), South Darfur (48), West Darfur (24), South Kordofan (59), and Kassala (57). FILE – Mosquito nets helped control malaria after an outbreak in the late 1990s. 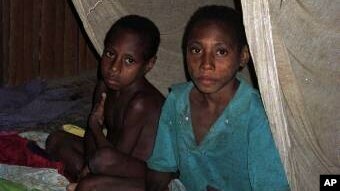 Today, a mysterious illness initially thought to be malaria has hit Papua, killing at least 41 children within three weeks. JAKARTA—A mysterious illness in Indonesia has killed dozens of children in a village in the remote eastern province of Papua in the past three weeks, leading to charges that the government has failed to take aggressive action. “Many of the children died prior to the livestock but there was no report of child fatalities, only in the last three days,” said Erias. When contacted by the Post, Wamena City community health clinic analysis member Yan Hubi, who joined the trip to Mbuwa district, said his clinic analyzed blood samples of the children to find out if the children had been infected by malaria, but all were negative. Yan returned to Mbuwa on Nov. 17. A doctor and several other medical workers are also continuing to conduct medical treatment in Mbuwa. Here’s another reason to stay in New York this holiday season — the “kissing bug” has now spread to 28 states.